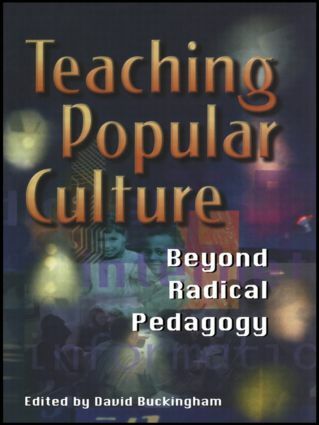 Teaching about the media and popular culture has been a major concern for radical educators. Yet in recent years, the hyperbolic rhetoric of "critical pedagogy" has come under attack, not only from theoretical perspectives such as feminism, anti-racism and postmodernism, but also in The Light Of Actual Classroom Experience. The Notion That Teachers Might "liberate" students through rationalistic forms of ideological critique has been increasingly questioned, not only on the grounds of its political arrogance, but also because of its ineffectiveness in practice. This book seeks to move beyond the limitations of these debates, and to explore positive alternatives. It contains a broad international range of contributions, covering practice from primary schools right through to higher education. The authors draw on diverse perspectives, including poststructuralism, postmodernism, cultural studies, anti-racism and feminism; yet they share a willingness to challenge radical orthodoxies, and to offer positive practical alternatives.